Your late preterm baby born between 34-36 weeks has unique care, feeding and developmental needs; they need you to be their champion. Perhaps baby didn’t wait out those last few weeks of pregnancy before making their grand entrance in this world a little early. Babies born after 34 weeks but before 37 weeks of pregnancy are called “late preterm infants” (LPIs)—as if they could be late for being born early! Almost all (70%) premature babies are born in this time frame. These babies may look and act like a term baby (37+ weeks), but they’re not—and they’re at greater risk for health issues, including breathing, having a healthy body temperature, low blood sugar (hypoglycemia), jaundice, problems with feeding, and developmental delays both now and in the future. Your baby isn’t quite ready for a world with lots of germs. Arriving early means your baby received fewer antibodies from you so they’re more susceptible to infection in the first few months of life. They’re also more likely to need hospital-level care if there are challenges with feeding, slow weight gain and growth, which may even lead to dehydration and failure to thrive. Baby’s first check-up with their healthcare provider should be within 24-48 hours of leaving the hospital; baby will likely receive more frequent follow up care during their first 10 days so problems with breathing, staying warm, feeding, weight gain, infection, illness and jaundice can quickly and easily be identified and remedied, reducing baby’s need for hospital-level care. Your LPI has less body fat than a term baby so they may struggle to stay warm. Keep them away from drafts; room temperatures should be warm enough for baby to sleep comfortably in one more layer of clothing than you’re wearing. Don’t overdress baby or let them get overheated; a cap on baby’s head will slow heat loss. Going skin-to-skin regularly helps baby with steady breathing, staying warm and feeding frequently. Practice skin-to-skin care for as long as you and baby desire; your partner can do this too! Were you surprised if your nurses taught you to hand express or use a breast pump to start the milk flow for your little one? Baby may struggle to get the hang of nursing, especially sucking and swallowing at the right times, and breathing too! Emptying a breast—or two—at each feeding is a goal for baby as they grow; at first, you may need to finish each feeding by pumping and freezing the rest of your milk. Starting the flow of your milk at each feeding, and emptying your breasts after each session will help you maintain a good milk supply. Put baby to breast at their first signs of hunger, supporting baby’s head and neck to help them get as much milk as possible. The football hold, in which you cradle baby alongside your body at breast level just like a football, can help baby feed easier. Nurse baby every 2-3 hours, even waking baby in the night if 3 hours have passed since their last feeding. Yes, that’s as many as 12 feedings a day! Baby needs breastmilk’s antibodies to boost their immunity. 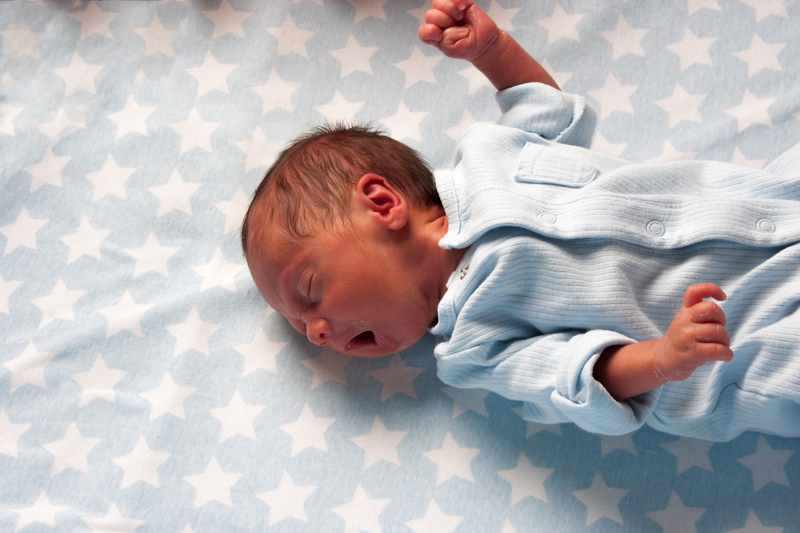 Baby should sleep in your bedroom for their first full year of life—just not in your bed. Baby should always sleep in an infant-safe crib or bassinet with a tight-fitting mattress and sheet for all sleeping times out of your arms, including naps. As baby grows, keep all recommended appointments with their healthcare provider, and ask if additional developmental care from a specialist is needed to ensure your late preterm baby gets the best possible start under your watchful and tender care. Call 911 if baby is struggling to breathe or is turning blueish. Difficulty breathing or turning blue—call 911 immediately! Your LPI can be more likely to develop jaundice, a symptom of a bigger problem called hyperbilirubinemia, which can lead to severe nervous system damage if not caught and treated early. Alert baby’s care provider if baby’s skin or eyes become yellowish. LPIs develop infections more easily; get care if baby has fever (100.4°F or more) or difficulty breathing.